The Hammers are in a bit of a crisis already this season - bottom of the league after three games and once again leaking goals for fun! And now Diafra Sakho is up to his old tricks after being left out against Newcastle - pulling off an Odemwingie-style solo effort by organising his own medical at Rennes! Apparently the French outfit are willing to splash out £9million on him - if so, its surely a no brainer? Sakho has just a year left on his contract and any seasoned observer would question whether he will ever regain full fitness for a sustained period after a series of setbacks over the past two seasons. The Hammers need attacking players but with Little Pea, Andy Carroll and the ever improving Toni Martinez we are not too badly off, while Michail Antonio is a decent second striker when needed? Diafra had a great first season but has done little to impress since. He has stated that he wants to leave such that there seems little point in holding on to him and maybe the fee will bridge the gap in the Carvalho campaign? 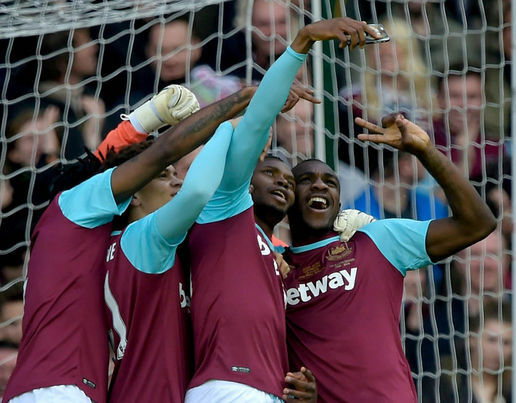 Hammers look to emulate Spurs!? !